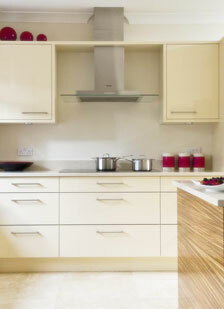 Kitchens Inc was established in 1999 after a long history in the furniture industry. Our expertise and experience covers many kitchen manufacturers from Howdens to Second Nature and leading German brands such as Alno, Geba and Meile and bespoke handmade kitchens from Charles York and English Hardwood. Our large client base is not atypical at Kitchens inc we cater for all tastes and all budgets, from small one to two bedroom apartments to large private houses and estates. Regardless of size the quality of service remains the same. As well as kitchen installation and building services we also provide a design and supply service using high quality furniture manufacturers and variety of worktop surface suppliers from laminate and hardwoods to composite, granite and quartz.